Does the price include the stand? BEST ANSWER: The 20 Liter Barrel Beverage Dispenser (Personalized) does come with the stand. Enjoy. how many kilos does it weight? BEST ANSWER: The 20 Liter Barrel Beverage Dispenser (Personalized) weighs 8.62 kilos when empty. 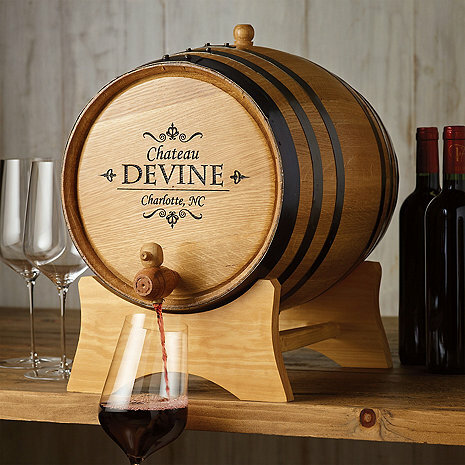 The barrel holds up to 26 bottles of wine. Could I get personnel info on end and both sides of barrel and if so how much extra $? The barrel seems like a good quality and price. I have not yet seasoned it so do not know how it will hold a liquid but it appears solid and should function well. I would recommend the purchase of this barrel based on price and appearance.